"My mantra is simple: keep the passion alive, and get things done. The two go hand-in-hand, because without passion and commitment, the quality of the work suffers." Just before this year’s summer started, news broke that Najla Al-Midfa had been promoted to the position of Chief Executive Officer of the Sharjah Entrepreneurship Center (Sheraa), a launch pad for the UAE’s aspiring and established entrepreneurs, and a subsidiary of the Sharjah Investment and Development Authority (Shurooq). In between many genuine messages of congratulations spreading across social media, there seemed to be some confusion over what her job title had been until then -it was General Manager- as people had become quite used to witnessing Al-Midfa going above and beyond the call of duty. This by itself provides the crucial insight into Al-Midfa’s approach to her work -novel, hands-on, and no-nonsenseas well as the effects it has brought about in her sphere of influence- discernible, profound, and lasting. In January 2016, Al-Midfa launched Sheraa –meaning “Sail” in Arabic- under the patronage of H.E. Sheikha Bodour bint Sultan bin Muhammad Al Qasimi, Chairperson of Shurooq, at the American University of Sharjah. In just over two years, the Sheraa team has inspired a loyal community of over 6,000 entrepreneurs, regularly hosting public workshops and events with over 300 local and international speakers. 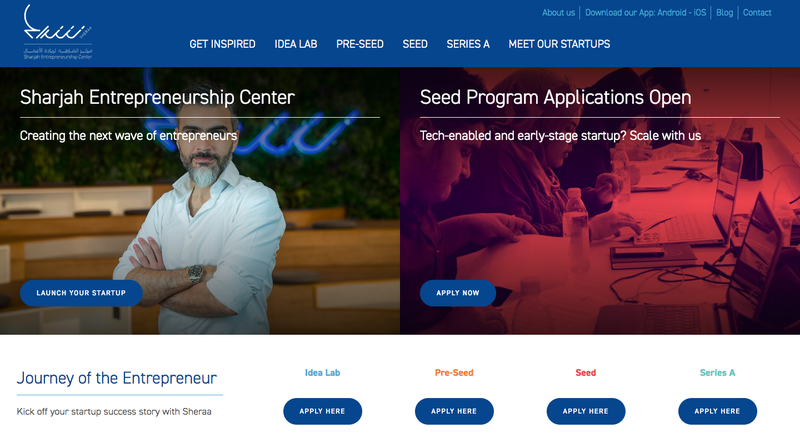 Its main activity -a full-stack entrepreneurship program catering to startups at all stages: pre-seed, seed, and Series A- has produced even more spectacular results. At the pre-seed stage, Sheraa has helped almost 200 aspiring entrepreneurs develop and validate their business ideas. Of these, more than 50 have been incubated and supported, while building their prototypes and gaining initial traction in the marketthe three top performers last year made over US$80,000 in sales revenue. Additionally, 30 startups have graduated from Sheraa’s seed and Series A stages, having raised over $12 million in investment to date. These startups continue to generate over $8 million in annual recurring sales, and have also created jobs for over 100 employees. Al-Midfa puts much of the success down to the backing of the Sharjah government, which has allowed her team the freedom to experiment with the offerings in their programs, taking the time to analyze where the gaps in the ecosystem lie, and how best to fill them. Sharjah itself, as one of the UAE’s more ambitious emirates, does offer a solution for one of the biggest hurdles entrepreneurs face -keeping costs down, and hiring the right people. The Sharjah Entrepreneurship Festival (SEF), a two-day annual festival that brings together different stakeholders to network and inspire further innovation, has been another crucial vehicle for growing Sheraa’s community and expanding its reach to the wider ecosystem. Over 2,000 entrepreneurs, investors, mentors, and ecosystem supporters attended the first rendition, held in November 2017, which featured over 60 inspirational talks with 150 local and international speakers. 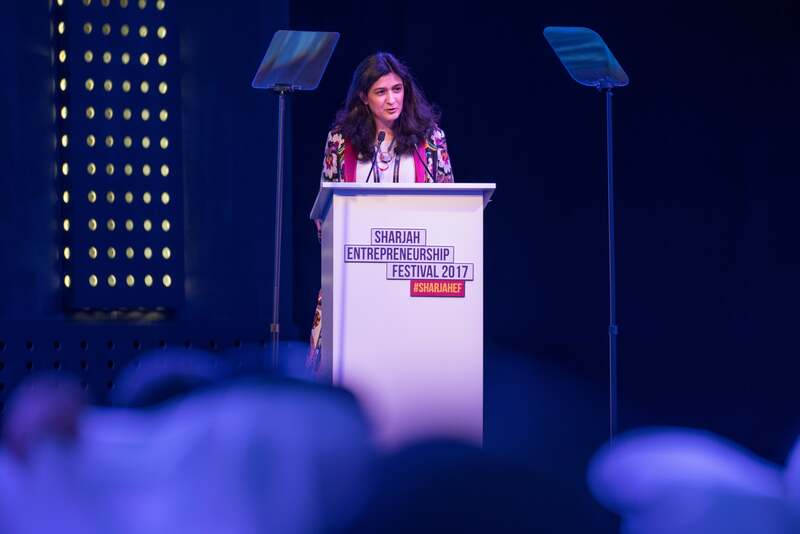 The success and impact of this event and other Sheraa programs led to the entity winning the Entrepreneurial Ecosystem Development Award at the 2017 Enterprise Agility Awards, presented by Entrepreneur Middle East. Najla Al Midfa, CEO, Sheraa. Image credit: Sheraa. Sheraa encourages startups in five focus areas: travel and tourism, sustainability, social enterprise, the creative economy, and Emirati innovation. As a whole, however, it remains industry-agnostic, because all sectors have room for innovation, Al-Midfa says. In startup founders, she looks for passionate, driven, and knowledge-hungry people. When it comes to their fledging businesses, she bases her decisions on the quality of their idea, its scalability and potential for success, as well as its ability to disrupt the market. What are your five tips for entrepreneurs to build a sustainable business? Feeling Stuck? Here Are 10 Amelia Earhart Quotes to Inspire You to Follow Your Dreams.